With over 55,000 plugins, wordpress is the most preferred platform for blogging. Having said that, there’s a plugin for every need. At times, you test a plugin and find it inefficient for your need. So you deactivate it and delete it. However, deactivating it alone cannot be enough. There are some residual files created by the plugin left in the database. You should be deleting those files too. Furthermore, there are chances you’d install an irrelevant plugin for testing purpose and end up losing access to the admin area. In that case, how’d you delete wordpress plugin? You will get to know exactly this herewith. So let’s begin without any delay. The main reason behind this post is the fact that I lost access to my wordpress admin area upon installing a wordpress plugin that clashed with my current wordpress settings. This resulted in losing access to the wordpress admin area. I had no other option other than to delete wordpress plugin from the database. And that’s what I did. However, a lot of times you and me try and test a lot of wordpress plugins for various needs. But we end up finding it not to the mark per our requirement. Hence, we simply deactivate it and/or even delete it. But that is not all you should do. Not all plugins have an auto-clean mechanism for various reasons. Which shall be discussed in subsequent sections. Now, if you disable/deactivate a plugin, it still occupies space in your database. This means it will affect your site loading speed, not in a good way. Furthermore, if you keep unnecessary files on your site it will also increase wordpress backup size. Resulting in taking more time in saving and restoring the backup. As a best practice, you should only deactivate the plugin when you are doing for time being. However, if you are not planning to use it any soon or ever, then you should deactivate it and delete it. This will prevent a lot of “junk data” and reduce the backup size. This is scenario one, where you have the access to the admin area. In this case, it is real quick and easy. Furthermore, this is one of the scenarios. 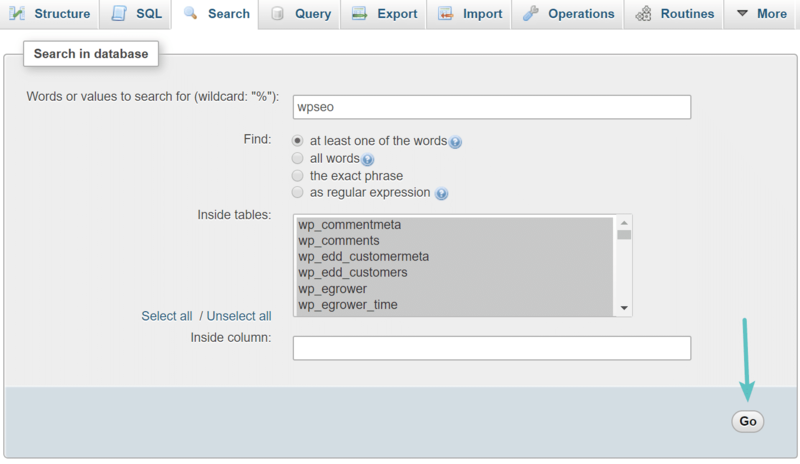 The main scenario of how to delete wordpress plugin without the admin access is in the subsequent section. The last step is to delete the plugin you have just deactivated. This is to ensure that the plugin does not occupy space either in the backup or the database. To delete, simply click on the delete link. This will delete the plugin from your database. Note: You can also bulk delete wordpress plugins by simply selecting all the plugins you want to delete (checkboxes) and click on the “Bulk Actions” drop down to bulk delete plugins. This is the second common way that you can use to delete wordpress plugin. FTP is a service that helps you connect to your server via your laptop/desktop. Once you connect FTP to wordpress, you can upload files manage your server without logging into your hosting dashboard. Navigate to /wp-content/plugins/ folder. Find and delete the folder from the list. That’s it. You saved yourself some space and helped your site load faster indirectly. You can also delete wordpress plugins without FTP too. Now things get weird from here. Remember I said that I accidentally downloaded a plugin that disabled my access to the admin area? Connect to the hosting dashboard provided by your hosting provider. Mostly it’s Cpanel. Scroll down and find “File Manager” in the Files section. Click on the File Manager and you will be taken to the file management system of your server. Double click on “public_html” link in the table on the page. Make sure you are on the home directory (you’ll find public_html only in the home directory), if not click on home directory of your server. It’s generally named after your website name. If you’ve hosted just one domain on your server, then you can directly find the wp_content folder in the table under public_html directory. In case you have hosted multiple domains, locate that domain name (you’ll see a folder named after your domain name) and double click on it to open it. You’ll find the wp_content folder there. Once you are into the wp_content folder, look for Plugins folder. Double-click to open the folder. Find the plugin folder accidentally installed, and single-click on the folder and then click delete link above the table in the menu ribbon. Note: Refresh the table once, to ensure a successful deletion. To disable the shortcodes, add the following code in your functions.php file. This code simply make the shortcode invisible to the end users. All you have to do is, note down the shortcodes you’ve used in such wordpress plugins and replace each of them with ‘pluginshortcode' in the functions.php file. Remember, to have all shortcode mentioned in the functions.php file else, the codes will be visible on your web pages. Note: If you ever decide to use that plugin again, remember to remove the above-mentioned code. Else the shortcodes from the plugin will not work, as the code above is making it invisible and hence pointless. The above-mentioned methods are the most common ways to delete wordpress plugin. However, this is not all you should be doing. As I have mentioned earlier, most of the plugins leave behind residuals just like the app on an Android device or iOS device. To remove this, there’s a better approach; That’s to clean the database table manually. The reason for doing these manual steps is the fact that many wordpress plugins create tables to store its data in your database. This further occupies space, which may prove costly for on-the-go plan users or those who have limited space on the server for their website. There are two ways by which you can clean wordpress database manually. Let me explain each of it in detail. Note: Before you begin, make sure you take a back up of your wordpress data. In case you go wrong somewhere, you can restore the data. If you are Kinsta user, creating a secure backup is one-click away. I personally prefer this method over using a plugin, as it more or less means the same- A plugin to remove another plugin. But if you are a person who wants to stay away from these lengthy steps, you can directly skip to the plugin step (its easy & straight). Furthermore, this step involves a basic knowledge of SQL & Database, if that’s not your cup of tea, there’s a plugin for this. Login to your hosting dashboard (CPanel) and find phpMyAdmin under databases section. Search for the plugins that you uninstalled. Search for the folder names in phpMyAdmin. Next, you’ve to select the desired table(s) and delete those tables. Deleting the tables would not only remove the unwanted files from the database, but it will also make the database respond faster. A faster response will eventually increase site loading speed and site search too. If you are not a tech guy or time saver, your best option is Advanced Database Cleaner. They say time is money. You get to feel it here, as this is a paid plugin. It saves your time deleting old wordpress plugin data. The plugin scans for the folders of the plugins that were no more active/installed. It clears those tables without you getting your hands dirty in the database. If you’ve made this far, you’re awesome. Considering the number of plugins and varieties around, I totally undestand the urge to try and test plugins that suit your need. However, you should be deleting plugins/plugin folders regularly. Furthermore, many plugins have detailed documentation on how to uninstall their wordpress plugin. That is either for a great user-experience or the plugin occupies a chuck on space. I hope, you’ve found this post helpful to uninstall wordpress plugin. If not, let me know in the comment section below. Do you have your developer manage your database and overall wordpress site? Share this with them and let them know about this hack to increase your site speed. Also, subscribe to my mailing list and never miss an update and exclusive offers.